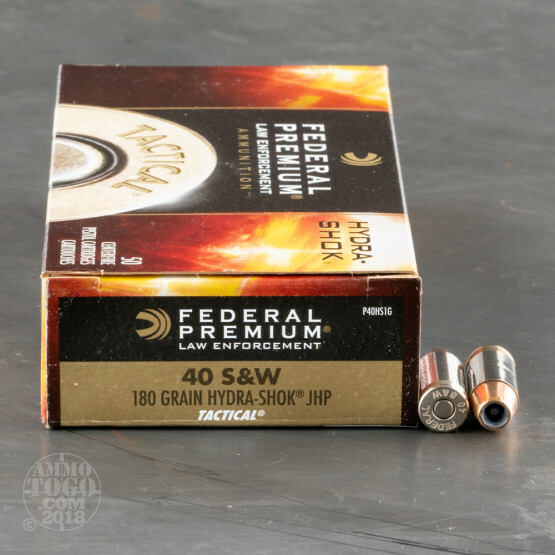 This 40 S&W cartridge by Federal features the Minnesotan company’s Hydra-Shok projectile. In the Hydra-Shok’s tip’s cavity of the you’ll see a little center post sticking up -- that makes the bullet far more effective, as it prevents the hollow point from clogging up with fabric and other media so that it can deliver reliable expansion. The bullet’s hard jacket assists in penetration, and further features notches running down from the tip to facilitate expansion as well. 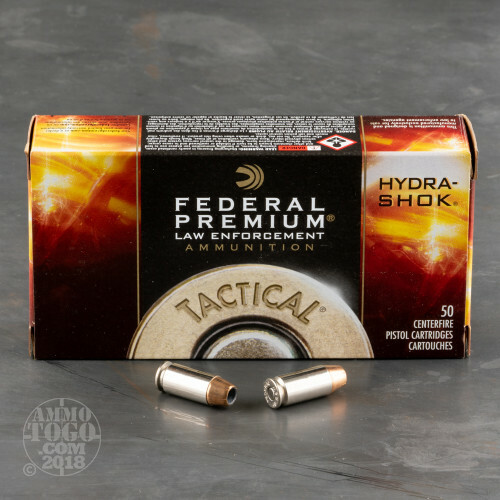 Because a Hydro-Shok so reliably penetrates to the optimum depth for neutralizing a target, it’s both highly effective for self-defense and less prone to dangerous overpenetration. This round also offers a reloadable nickel plated brass casing. 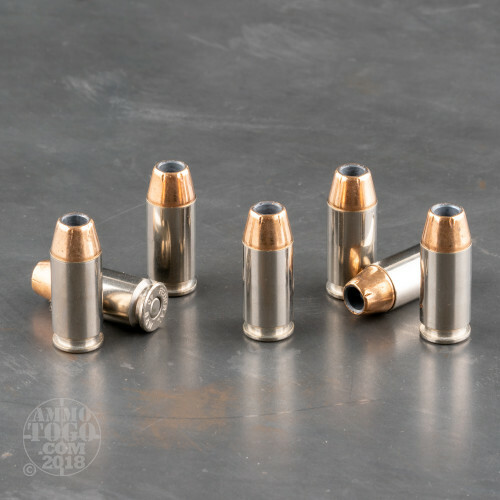 That plating resists corrosion marvelously, and further enhances the round’s lubricity so that it can feed and eject very smoothly in a semi-automatic pistol. 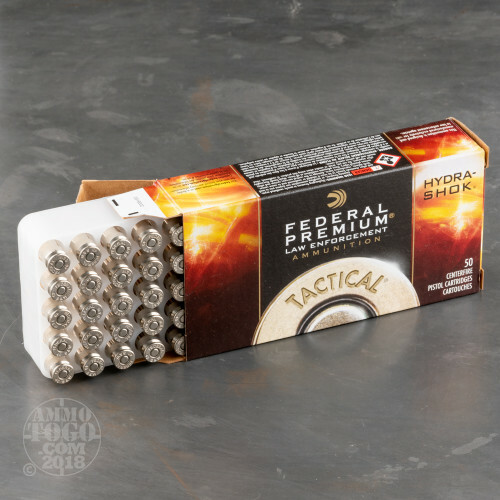 The shininess of its casing also makes this round extremely easy to see in low light environments, making a chamber check far easier to carry out in the dark.